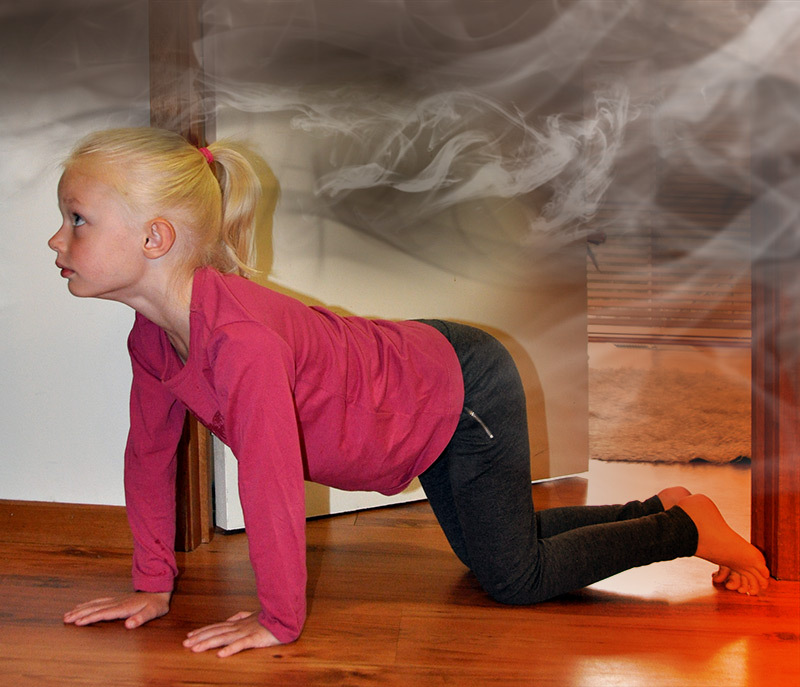 Get down, get low, get out - smoke is poisonous, get underneath it on your hands and knees, and crawl to the nearest safe exit. Get out and stay out - never go back inside. Go to your safe meeting place - such as your letterbox.